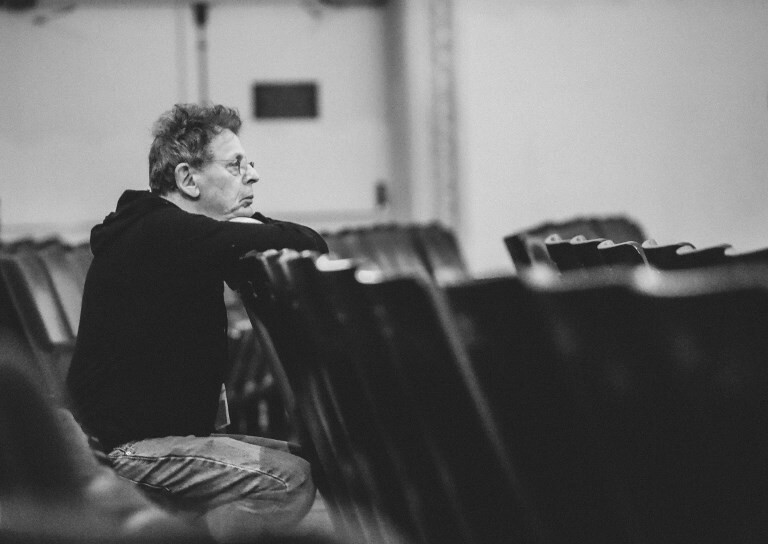 After a prolific half-century in music that has earned him the unofficial title of America's foremost living composer, Philip Glass could be forgiven if he were to decide to slow down. But the 81-year-old not only remains active, he is determined to challenge himself. Far better known as a composer, Glass believes it is crucial also to be a performer. Glass this month is making his long-awaited performance debut at the Kennedy Center, the national monument to the performing arts in Washington, which has long showcased his work but where he has yet to play. He will take to the piano and keyboard for two of his works, including the soundtrack to the experimental film "Koyaanisqatsi" as part of Direct Current, an inaugural festival at the Kennedy Center exploring contemporary music. "I actually like playing," Glass told AFP, adding that he feels fortunate not to have become afflicted by arthritis or other scourges of age. "I think it's a very good reality check for composers to play your own music in front of all kinds of publics." Glass said that performing at top venues such as the Kennedy Center or Carnegie Hall in his home of New York amounted to a kind of acceptance. "I don't have to explain myself to anybody anymore. I don't have to apologize for my music, which I never did anyway," he said. "I got my first big music prize when I was 75 -- I'm talking 75 YEARS OLD!" he said with a laugh. "I never got a Guggenheim, I never got a MacArthur, the Pulitzer -- nothing." "But what I did do is I went and played in important places and that for me was very satisfying. I never cared about the prizes, anyway. I was looking more for the kind of prestige that comes from playing in important venues." The Direct Current festival, which runs from March 5 to 19, will also feature works by fellow leading composer John Adams, drag cabaret innovator Taylor Mac and electronic fusionist Mason Bates, who will deejay classical music at Washington's celebrated 9:30 Club. At the Kennedy Center, Glass will play from his "20 Etudes," solo piano pieces completed in 2012. Known for his quick-moving arpeggios and a focus on rhythm, Glass found that the deceptively old-fashioned "20 Etudes" amounted to exercises he himself could benefit from. "When I played them, I got to be a better piano player," he said. "I said, Wow, I don't have to play Hanon anymore; I can play Glass," he said, referring to the 19th-century French piano pedagogue Charles-Louis Hanon. Glass will only perform four of the 20 "Etudes" at the Kennedy Center, with other pianists, including indie pop artist Blood Orange, playing the rest. With his busy schedule and the challenging level of the "20 Etudes," Glass said he was unable to play all of them. For "Koyaanisqatsi," one of the composer's better-known works, his Philip Glass Ensemble will perform to a screening of the movie of the same name in a reunion with its director, Godfrey Reggio. The film, whose title means a "world out of balance" in the American indigenous Hopi language, weaves together wordless footage, from traffic jams to atomic explosions to a space rocket. Glass, who composed the minimalist score for "Koyaanisqatsi" in 1979, said he was struck by how the film has become a cult classic. "Why are young people looking at it and thinking it's about the world they live in?" Glass asked rhetorically. "There is no question that Godfrey Reggio had an amazing vision. If you asked him what the movie was about, he would say it's about the impact of technology on the way we live," Glass said. Technology does have its upsides. Glass recalled how he used to travel with hulking masses of equipment, which now can quickly be assembled through rentals in each city. Reflecting on shifts he has seen, Glass also witnessed a sea change in the embrace of non-Western music. Glass is heavily influenced by Indian form. After meeting sitar legend Ravi Shankar in Paris in 1965, a fascinated young Glass took on the task of transcribing traditional Indian music into notation that Westerners could play. Glass, who regularly performs with international artists including Gambian kora player Foday Musa Suso, said that musicians have learned how to bridge what once seemed impossibly wide divides. "The major thing that's happened is we've gotten used to tuning together. That sounds like a very technical thing, but without that you can't play together," he said. Glass, who premiered his Symphony No. 11 last year at Carnegie Hall to mark his 80th birthday, said he still felt an itch to compose and he may have more "Etudes" in store. "It's what I like to do. And what I probably do best is just writing music."